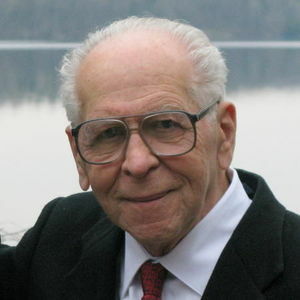 I knew you would die some day, Thomas Szasz, but my heart is still broken. I loved you because you loved Liberty more than I did. Your written words were my friends from the moment I met them. were inexorable, touching the ineffable certainty within. Margot & Suzy, I remember meeting your father for the first time in 1965 when we moved into the house on Euclid Ave next to your grandmother,Lily. Your father would come visit her and they'd sit in the back yard under the shade of the elms and talk while their papers and magazines lay on the grass and veronica nearby. He'd always nod and greet us (Lisa, Shawn and I) and your grandmother would bring us wonderful treats from her trips to Europe. I used to trim the hedges on Bradford Parkway and he'd always meet me, give clear directions and thank me for a job well done. He was a good tipper too! I remember him as kind and interested in what we three Rayder kids were up to and he'd always wave as he visited next door. We all knew him as kind Dr. Szasz. That does seem like a very long time ago. As I spoke at my father's funeral "To live in hearts we leave behind is not to die." I hope you find peace and comfort in the wonderful memories of your times together. My thoughts are with you at this time. Our whole family will remember Dr. Tom(as my kids named him)as the man who walked the neighborhood with his black trench coat,hat and cane. Strolling in heated debate with his dear friend Rhoda and then later alone. Always stopping to chat with us on that very steep hill. Andrew, you had a really special grandpa. He spoke of you often. Thomas Szasz was a courageous dissident in a field where dissidence is anathema, an impeccably logical thinker, and in his personal life a modest friend. No one can step into his shoes. In addition to his family, he will be missed by his many fans, who span three generations. Many years ago, I had the privilege of caring for Tom's mother, and with that came the privilege of getting to know Tom. Often we met for lunch, sometimes at the Upstate cafeteria, sometimes at Crouse. Often others joined us. The level of discourse made lunch worthwhile. We both retired and went on to other things. I have missed him as I am sure you will. He is the kind of person one wished could go on forever. Goodbue to the brilliant man who brought some sanity to the crazy world of Psychiatry and Clinical Psychology. In today's world, where we face the increasing power of giant pharmaceutical companies to make clinical decisions in their interest, rather than that of the person suffering, Dr. Ssasz's central thesis remains as relevant and as potent an intellectual force as it ever has been. Your courage to challenge the orthodoxy of those around him remains forever as a cautionary tale to the hubris of a smug profession and as a testament to the human spirit. To all his family Thank you for being so dear to your father, grandfather and brother. Words like hero, humanitarian, champion, courageous, trailblazer, and, yes, witty and charming too, are synonymous with the Thomas Szasz we love. I first met him 32 years ago when he spoke out against a lethal treatment when no other medical professional would. I’m sure it shamed others into doing what was right. Thousands of lives were subsequently saved. He gave us great knowledge, wisdom and memorable times—an immeasurable gift. Goodbye, Tom! We thank you for everything you did and achieved and for being the leading voice for liberty and freedom. Your work did make a difference. It will never be forgotten. And it will endure.